Wall ride transfer with two quarter pipes. Trash can ollie and rail. 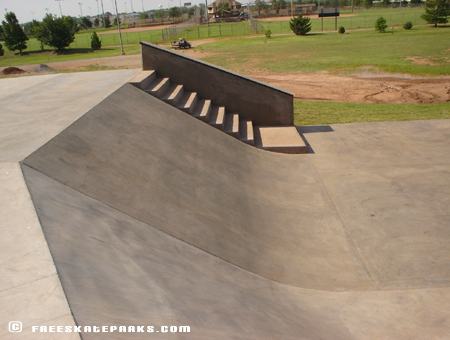 After years of debate, meetings and frustrated skateboarders getting ticketed in the City of Wichita Falls, the skatepark is finally open! 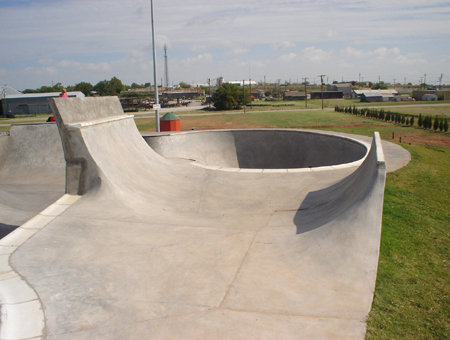 The skatepark features an array of obstacles to suit the needs of skateboarders of all levels. 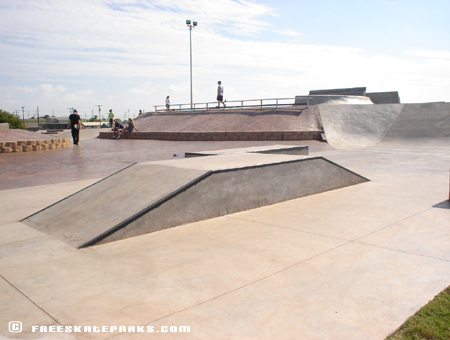 This 13,000 square foot concrete skatepark is like no other in the country and is sure to attract professionals from all over the world. 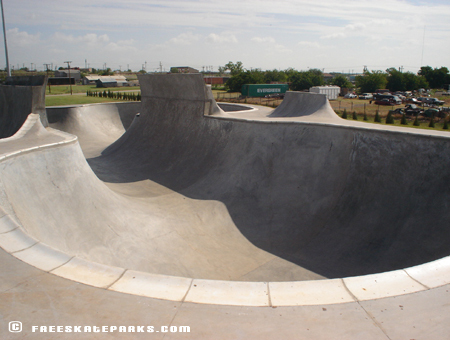 The Wichita Falls Skatepark is a MUST SEE spectacular the next time you pass through. Conveniently located right off I-44 in The Gateway to Texas. The City of Wichita Falls, TX. 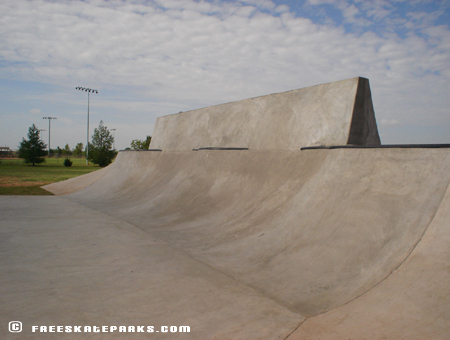 The Skatepark is a "skate at your own risk" facility, non-supervised, and for SKATEBOARDS, IN-LINE SKATES and BMX BICYCLES (without pegs) ONLY. 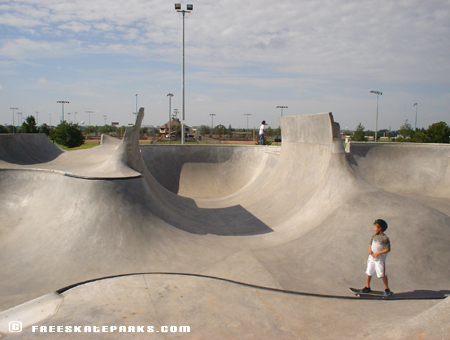 The Skatepark is open to patrons age 6yrs. and over. Youth under 10yrs, must be accompanied by an adult 17yrs. Children under 6yrs. are not permitted in the Skatepark accept for city approval activities scheduled for that age group. 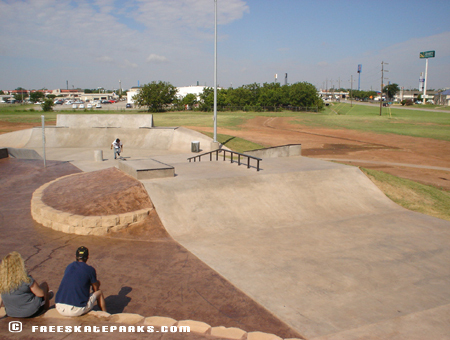 Skateboarding, in-line skating and bike riding in the Skatepark are HIGH-RISK activities. WEARING OF A HELMET IS REQUIRED and knee-pads, elbow and wrist guards are strongly recommended. 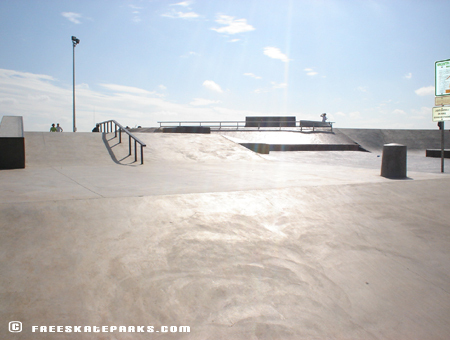 No motorized vehicles or other wheeled devices (except motorized wheel chairs) are allowed within the Skatepark. Tobacco products, alcoholic beverages and glass containers are not allowed. Litter is to be placed in trash can. 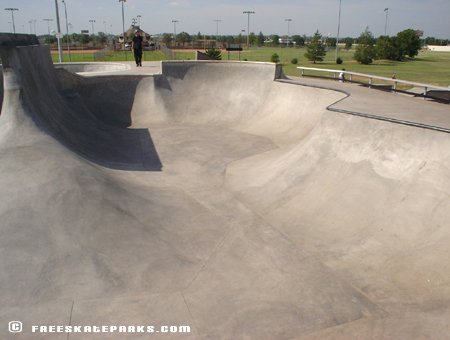 No pets are allowed on the Skatepark surface. No outside obstacles are allowed. No skating/biking when the surface is wet, when raining, during electrical storms or when routine Skatepark maintenance is being performed by City staff. The facility will be closed to make repairs to vandalism, graffiti or form of tagging the facility. 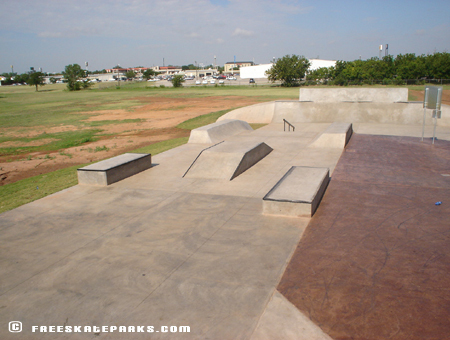 Competitive events or demonstrations require prior approval of the Parks & Recreation Department (940-761-7491).